Now back to Lucia: I’ve come to the conclusion that this little girl moves a LOT more than Sirena did when she was in my belly. Lucia jiggles my belly around all day long and gets me with some major jabs and belly rolls a few times a day. I have yet to catch it on film (I need to keep our camera handy!) but hopefully soon. She also seems to stick around reaaaally low most of the day and night. It can feel really uncomfortable where my pants rest on my low abdomen and I find myself having to resituate myself (or my waist band!) to get some relief from her pushing down. I’ve also noticed that clothes do not fit me the same as they did with Sirena’s pregnancy. It’s obvious that my belly has grown a lot more quickly this time around but even shirts and leggings that I wore through to the end of Sirena’s pregnancy (when I was a lot larger than I am now) just aren’t fitting the same even now. I’ve had to purchase a few more maternity shirts and a new couple of pairs of stretchy pants to feel more comfortable on a daily basis. Hopefully these will last for the next 3 months! We started off this week with a prenatal appointment. We met with a new midwife, Vicki, so it was nice to be able to get to know another midwife who may end up being the one present at our birth when the time comes. The ever-exciting glucose screening was at this appointment and a few days later I received the same potentially disappointing news that the test levels came out a bit high and so I’ll need to go in for the longer 3-hour glucose screening next week. Fingers crossed I’m not diagnosed with gestational diabetes but of course we’ll face that if it comes to that! Things are starting to get more and more real with the impending birth and arrival of Lucia…the midwife talked to us about preterm labor signs and starting next week I need to start keeping a kick count (to make sure she’s keeping active throughout the third trimester). 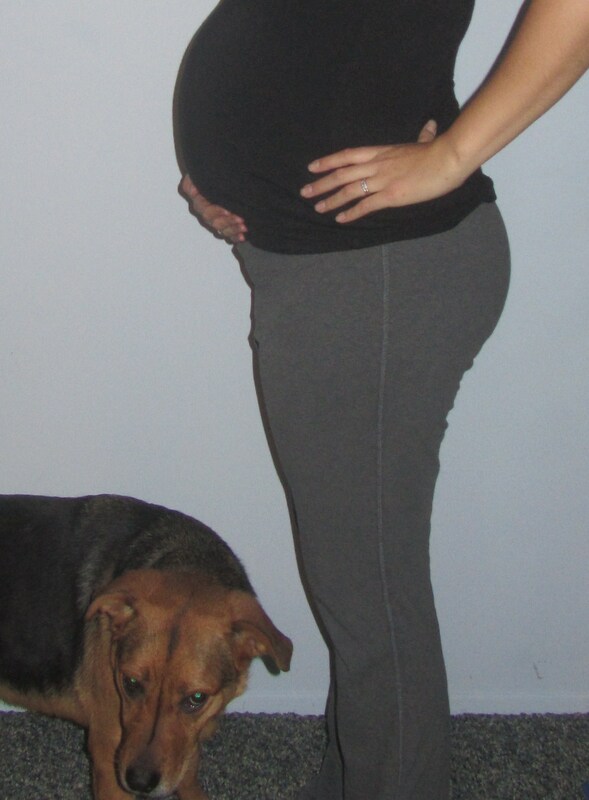 Third trimester starts next week…ahhh! So much to do and now it’s really getting to be crunch time. Fun fact: Next week during Sirena’s pregnancy is when I chopped all my hair off. 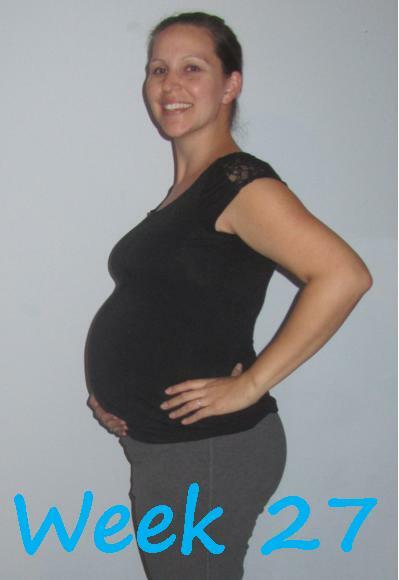 I’m considering doing it again…guess it’s a third trimester pregnancy thing?? My shadow seems to have returned! Fun baby developments: She weighs about 2 pounds and is around 14.5 inches long, she’s beginning to show brain activity, she’ll take her first peek around this week while her blinking reflex begins, and she probably recognizes my voice! Number of days until our family vacation/babymoon to Hawaii: 6! We are so excited!